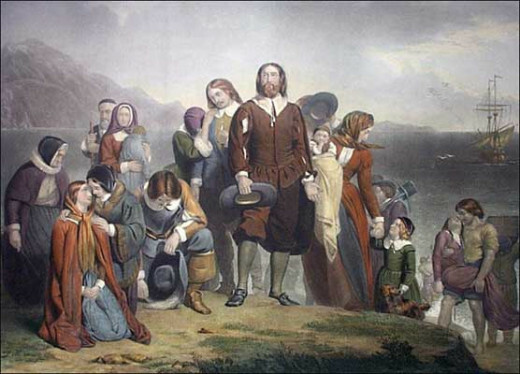 Every November, we celebrate Thanksgiving to commemorate that in 1620 pilgrims, numbering 102 individuals decided to settle on the coast of Massachusetts. We know that their population was to almost half their number within the next year. The following autumn, they celebrated the first Thanksgiving with their Indian neighbors. 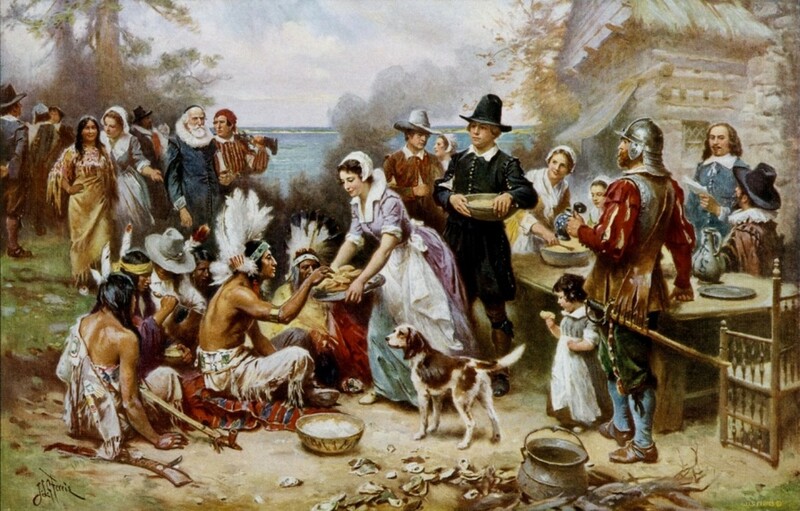 We call it the first Thanksgiving, but in fact, the roots of that "first" Thanksgiving occurred long before 1621. The traditional celebration of Thanksgiving reaches back to New England's imitation of the manorial system set up after the Norman invasion of England in 1066. 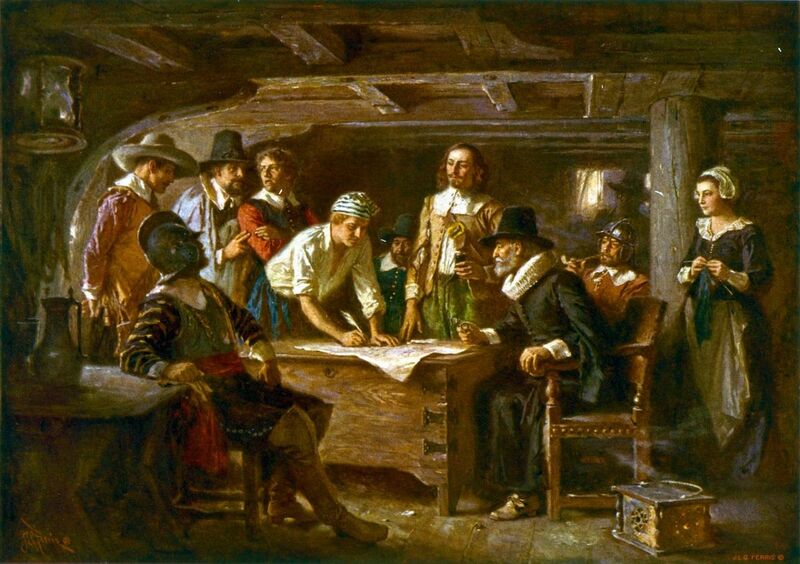 As you will notice, the pilgrims' first Thanksgiving was not observed immediately after harvest. 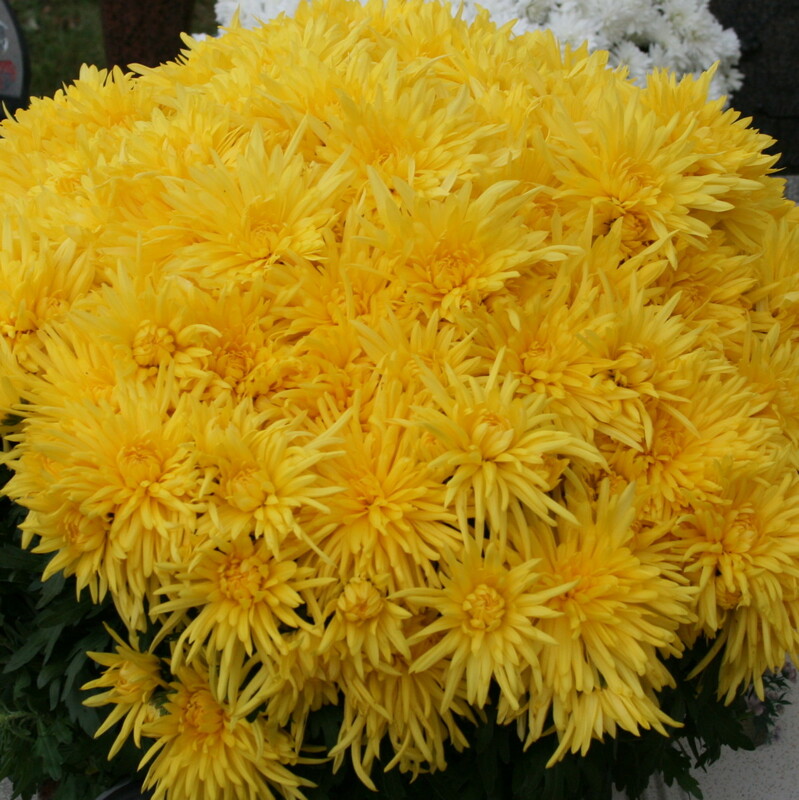 Harvest festivals would spring later in American life in the form of special harvest-home services in rural American churches in the month of September or October. Thanksgiving was selected to fall during what was known as Indian summer. Indian summer usually fell somewhere between October 15 and December 15. This same season occurs in England and is known as Martinmas. During Martinmas, yeomen made their annual slaughter of hogs, oxen, and sheep, and held their meat feasts. This period of Thanksgiving carried over into American Tradition as a feast time commemorating the meat harvest around the end of November when cool temperatures kept butchered meat from spoiling. The pilgrims settled on the site of a Wampanoag village that had been abandoned four years earlier after a deadly plague outbreak which was spread by European traders visited the area in 1616. Before 1616, the Wampanoag numbered 50,000 to 100,000, and occupied 69 villages scattered throughout southeastern Massachusetts and eastern Rhode Island. Up to two-thirds of the Wampanoag population were killed by this plague. When the Wampanoag watched the Mayflower’s passengers come ashore at Patuxet, they did not see them as a threat because the white man had brought their women and children. The Wampanoag believed that if the white man brought their women and children to their shores, the must have been a peaceful people so they did not feel threatened by their presence and therefore did not attack them. The pilgrims did not see the Indians during their first winter. What they did see were the shadows of the Indians. The first Indian to introduce himself was Samoset, a Monhegan from Maine, who came into the village on March 16, 1621. The following day, he returned with Tisquantum (Squanto), a Wampanoag who befriended and helped the English by showing them how to plant corn, fish and gather berries and nuts. within days, the Pilgrims signed a treaty of mutual protection with Ousamequin (Massasoit), the Pokanoket Wampanoag leader. 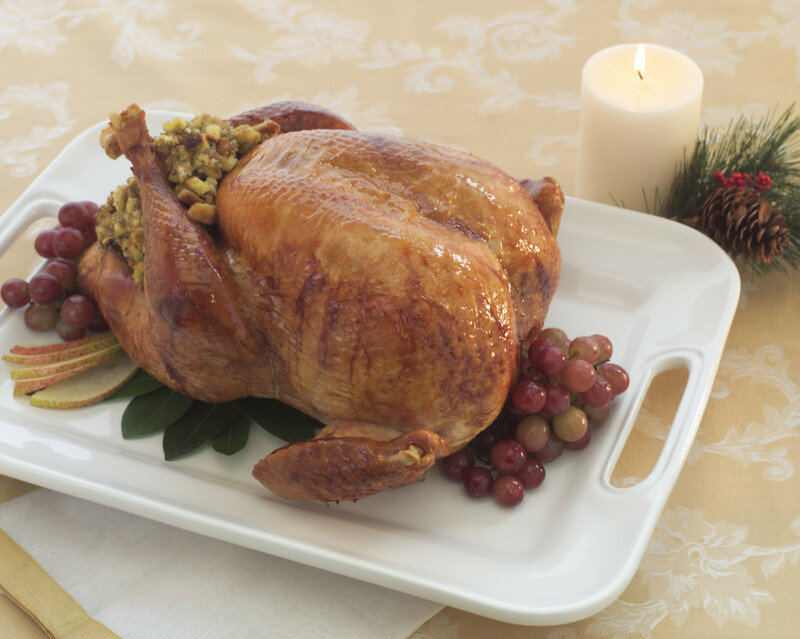 At that first Thanksgiving, Wampanoag and Pilgrims did not sit down for a big turkey dinner. It was not even an event that the Wampanoag knew about or were invited to in advance. In September/October 1621, the Pilgrims had harvested their first crops, and they had a good yield. They “sent four men on fowling,”as Pilgrim Edward Winslow said about the day. This was one of only two historical sources of this famous harvest feast. Winslow also stated, “we exercised our arms.” “Most historians believe what happened was Massasoit got word that there was a tremendous amount of gun fire coming from the Pilgrim village, Massasoit brought his men not for a feast, but because he thought that his Pilgrim allies were being attacked and he was going to their aid. When the Wampanoag arrived, the Pilgrims invited them to join their feast, but there was not enough food to feed the chief and his 90 warriors. According to William Bradford in his account of the feast said, “He [Massasoit] sends his men out, and they bring back five deer, which they present to the chief of the English town. The harvest feast continued for three days. Was their turkey at that first Thanksgiving? Perhaps, perhaps it was not. There was venison provided by the Indians. The“Fowl” is mentioned in Winslow’s account, could have included turkey, but it would more likely have been waterfowl that they hunted. In addition to the meat, there was no doubt corn maize bread, pumpkin and other squashes, but the meal bore very little resemblance to our modern Thanksgiving. On September 28, 1789, before leaving office, Congress resolved that President Washington recommend a day of thanksgiving for the infant nation. He named Thursday, November 26, 1789 as a "Day of Publick Thanksgivin" - it would be the first Thanksgiving celebrated under the new Constitution. Subsequently future presidents issued Thanksgiving Proclamations, but the dates and even months of the celebrations varied. President Abraham Lincoln in 1863 proclaimed that Thanksgiving would regularly be commemorated every year on the last Thursday of November. In 1939, however, the final Thursday in November fell on the last day of the month. President Franklin D. Roosevelt , concerned with a shortened Christmas shopping season interfering with the economic recovery, proclaimed that Thanksgiving would be to moved to next to the last Thursday in November. Thirty-two states agreed, but sixteen states refused to change Thanksgiving to that date. In 1939 and 1940 different states celebrated Thanksgiving on the two different dates. To end the division of when to celebrate Thanksgiving, Congress voted the holiday should fall on the fourth Thursday in November. the resolution was signed on December 26, 1941 establishing the fourth Thursday in November as Thanksgiving Day. 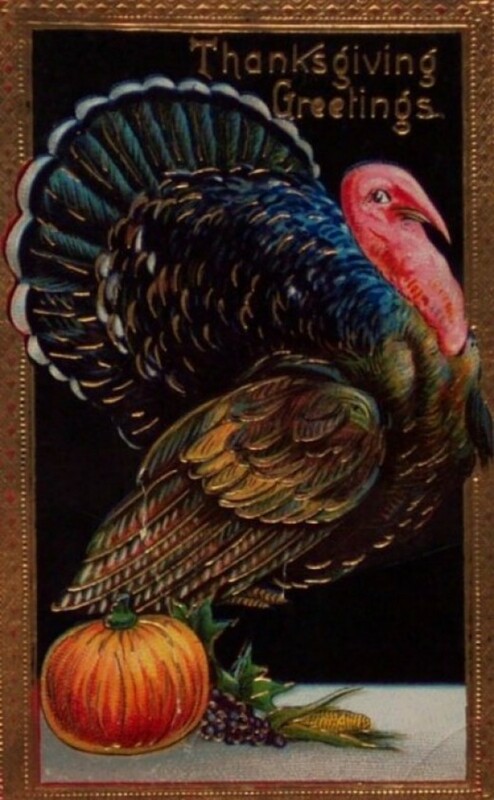 To this day, Thanksgiving continues to be celebrated on the fourth Thursday in November. A Steele, Thanks for your comment! I don’t celebrate Thanksgiving Day! Or any other holiday for that matter. I also am a student of history, however, I appreciate the truth and I have the learned that the truth is very cruel. Still needs to be told! Great Hub. I love reading about new facts in history that I did not know about. These are definitely some things I did not about Thanksgiving. Thanks for an interesting article. Thank you for your comment, JLopera. I too love researching accounts in history. I personally prefer to go to original accounts rather than use second hand accounts. Sometimes even those accounts differ which indicates that history can be seen from many viewpoints. Great article! This is a difficult subject to cover and I have tried my hand at it. It is hard to find the facts and the deeper you dig the more you learn. Also, there are conflicting reports and even errors in some accounts. 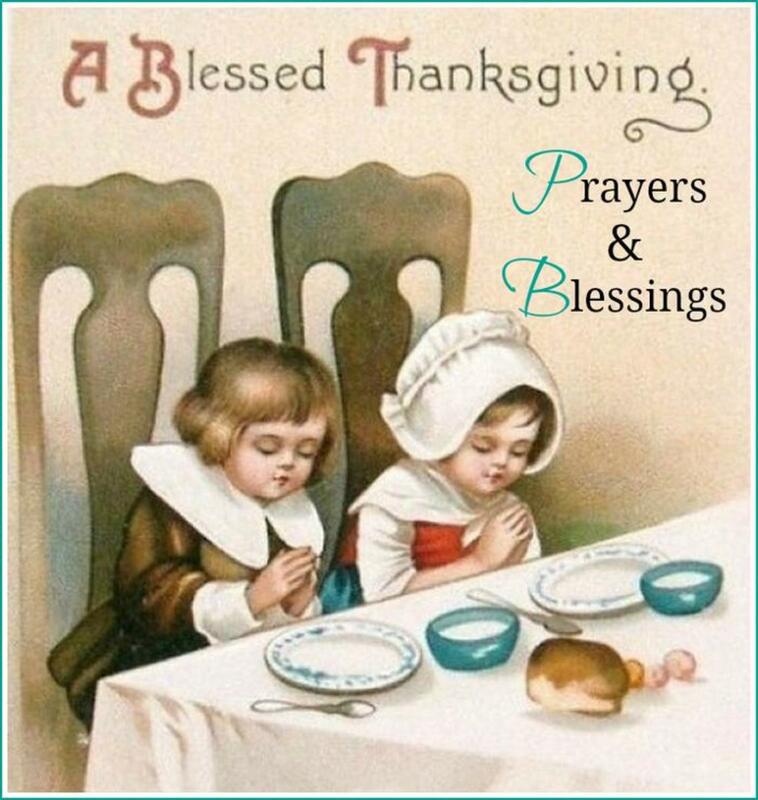 I am discovering more and more about Thanksgiving and about the Pilgrims each day. I am researching more and finding that theirs is quite an amazing and intriguing story. Peggy W. Thanks for your comment! I love learning and sharing! Very interesting historical reciting of how our American Thanksgiving came into existence and why it is celebrated on this date every year. Thanks! Thanks, Bill! I certainly do appreciate the visit!